Replacement Safety Latch Kits for all sizes of DIN hooks are maintained in stock for immediate shipment. Latch kits are available in standard or positive locking types. Latch kits include latch, spring and mounting hardware. 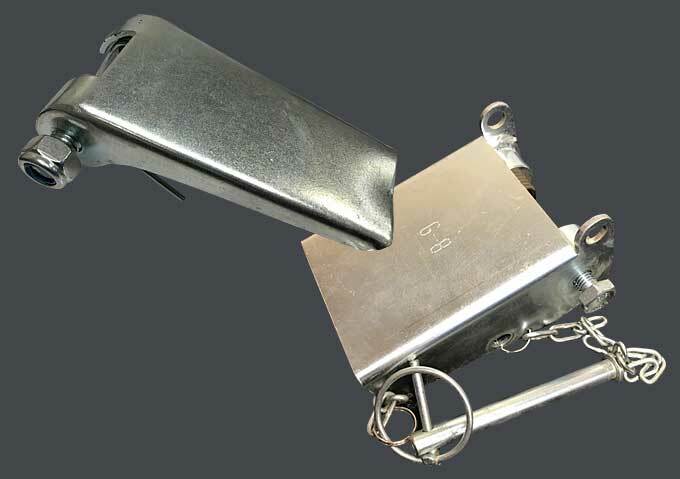 Though not a common occurence, we must note that due to slight variations among hook manufacturers, some field fitting or adjustment may be required to fit the replacement latch, most often involving mounting hardware (e.g., bolt size). See Specs for latch selection tables and for directions on how to determine the correct latch kit for a given hook.